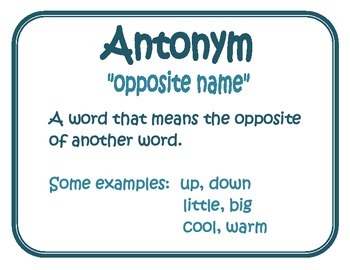 Contains two posters explaining the definitions of synonyms and antonyms. Each poster contains examples of each. 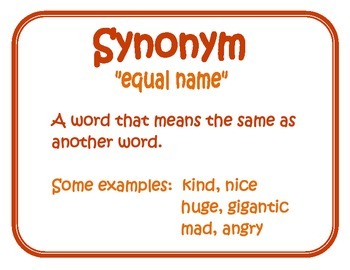 Synonym and Antonym Mini Poster Pack by Alia McNeil is licensed under a Creative Commons Attribution-NonCommercial-NoDerivs 3.0 United States License.